When it comes to the manufacturing of vinyl siding, no company on the planet tops Mastic. 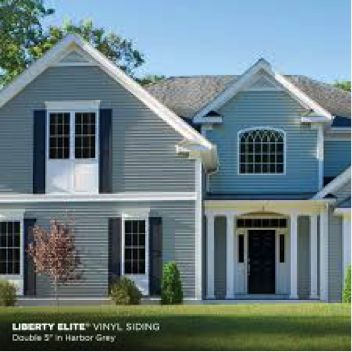 A PlyGem brand, Mastic has been creating high-quality vinyl siding for decades, supplying homeowners with a product that is durable, protective, and aesthetically pleasing. If you’re looking for Mastic vinyl siding in Chicagoland, Aspen Exterior Company has you covered. We’ve installed Mastic siding for generations of homeowners, providing nothing short of top-notch service all along the way. 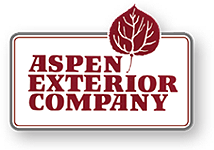 Inquire about Mastic siding installation by calling Aspen today! Mastic vinyl siding is available in a bevy of styles, all of which offer something just a little different in terms of aesthetics. Take your pick of the following. Commonly referred to as clapboard or horizontal siding, lap siding extends horizontally across a house. Measuring much wider than it stands tall, this siding is the most popular style of siding in the world. Lap siding is known as lap siding because it overlaps, with each panel of siding covering around 1 inch of the panel below it. A beveled siding, lap siding is thicker on its bottom than it is on its top. Aptly named, vertical siding appears to extend vertically across a home’s exterior face. Because it’s fairly scarcely used on residential structures, it possesses a very unique and original look. Often called board and batten siding, vertical siding does not come in long, narrow panels, but in large, expansive boards. Easy to maintain and easy to install, it’s a solid choice for all of those who want to add something aesthetically special to their homes. Shakes are something entirely different from both vertical and lap siding. These small, rectangular siding materials are overlapped and staggered on top of each other, producing a visual effect that is completely and utterly unique. While shakes were traditionally made out of cedar wood, Mastic makes their shakes out of vinyl. However, this isn’t to say that they look like vinyl. Rustic and textured, they possess the appearance of aged wood. It doesn’t matter what color of siding you’re looking for, Mastic has it in stock. 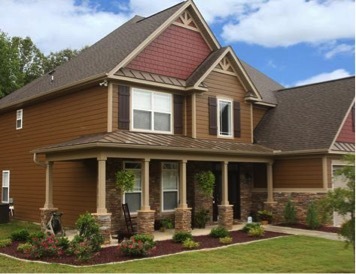 The company strives to offer as many aesthetic choices as possible, producing all types of siding in all types of colors. Whether you want red, blue, black, green, gray, or something in between, Mastic has you covered. As one of the most reputable siding manufacturers in the world, Mastic stands behind each and every product they produce. For this reason, they offer manufacturer’s warranties on all of their siding. The vast majority of the siding provided by Mastic comes with a VIP Limited Lifetime Warranty, specifically. This warranty covers all damage which occurs to Mastic siding as a result of manufacturing mishaps. As indicated in the name of the warranty, coverage exists for the lifetime of the buyer. 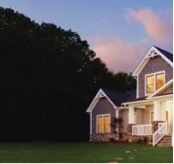 Since 1978, Aspen Exterior Company has been one of the premier siding companies in Chicagoland. As such, we get our siding from only the best of suppliers, one of which is Mastic. We know that, by installing Mastic siding on a customer’s home, we are providing that home with ample protection and plentiful insulation, as well as with a stunningly gorgeous aesthetic. Whether you’re just looking to buy Mastic siding, or are interested in having a professional install it for you, we can help. We offer a wide variety of siding from Mastic, and provide guaranteed installations. Each and every one of our siding installations comes with a 10-year labor warranty, ensuring that the work we do for you is of high quality. Schedule an appointment by contacting Aspen at (847) 590-5600!